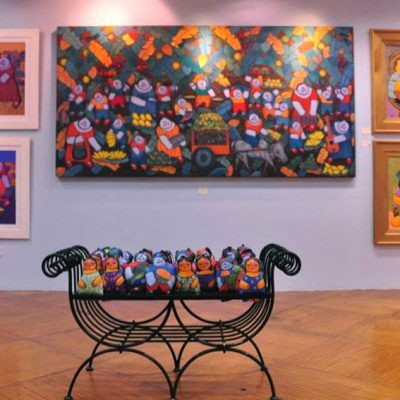 Naïve art is created by someone who has no formal education nor training that most artist go through. It is characterized by a childlike style and the simplicity of execution. Often considered as an outsider art, the style is an outside-the-box execution of academic painting. Today Naïve artists are looked up upon by modernists seeking to free themselves from the confines of what traditional art schools have taught them. 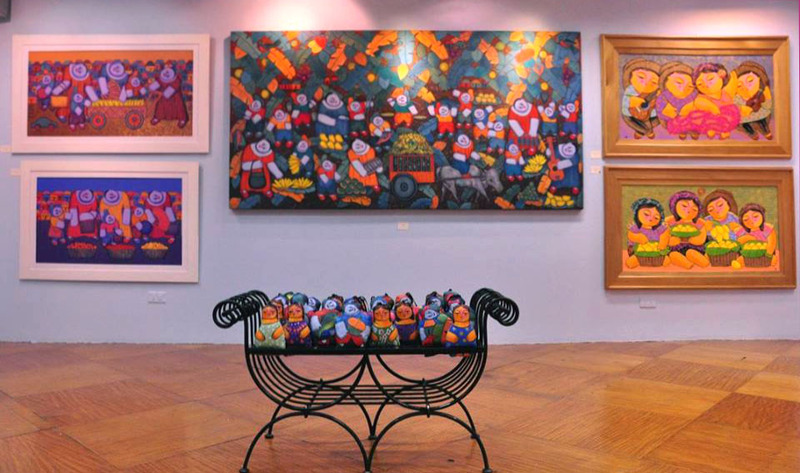 Art Circle Gallery proudly presents two artists whose visions are a nonconformist offer a distinct perspective to Filipiñana art. Monicque Villaflores, a young woman from Pakil, Laguna. She is a mother to three beautiful children who is her source of inspiration. 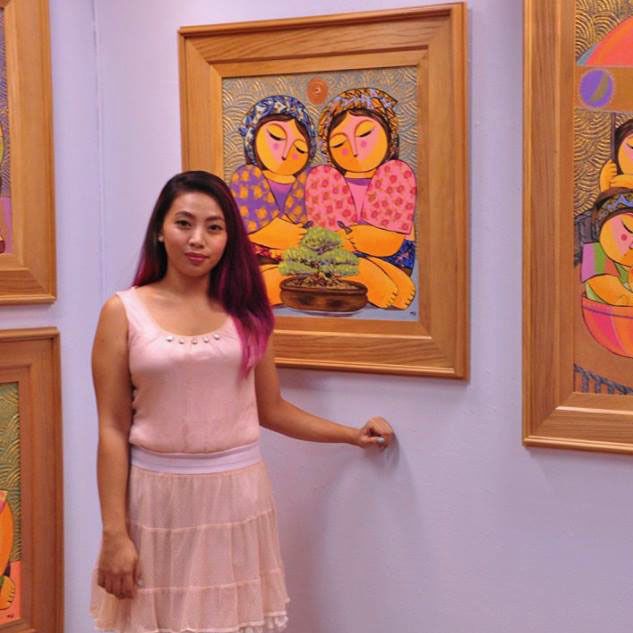 Her husband, a graduate of UP Diliman Fine Arts taught her the basics but encouraged her to find her own style and techniques. He gave her full artistic freedom, something that you will not experience in an art school due to constant criticism from professors. Monicque’s love for her children and passion for travel allows her to see her surroundings through a child’s eyes. The freedom to paint whatever she wanted coupled by her childlike wonder shaped her into an artist that is able to create artworks she can truly call her own. 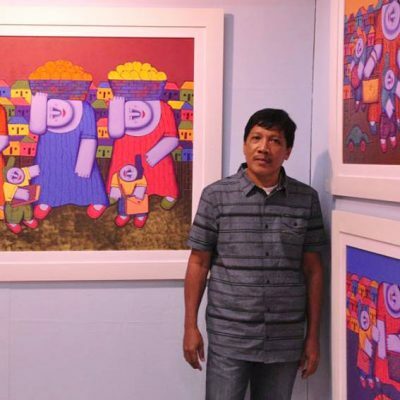 Fredito Pelipada was born in Catanauan, Quezon. Forced to leave his hometown due to tensions from the rebels and military. 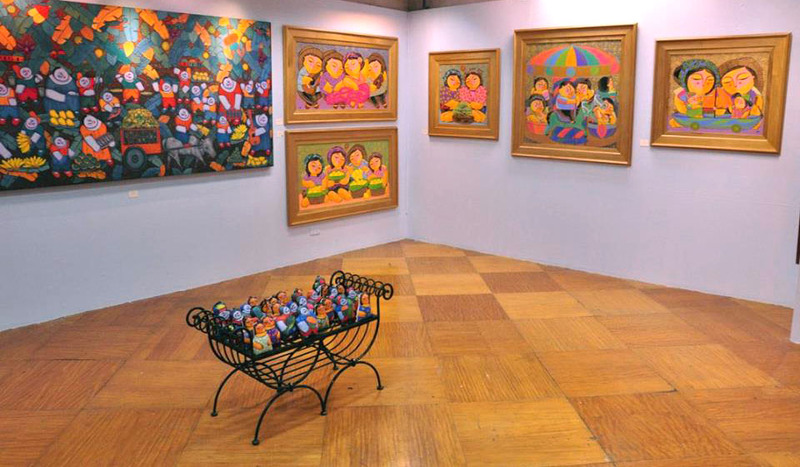 He worked in his uncle’s frame shop and was expose to different types of art. 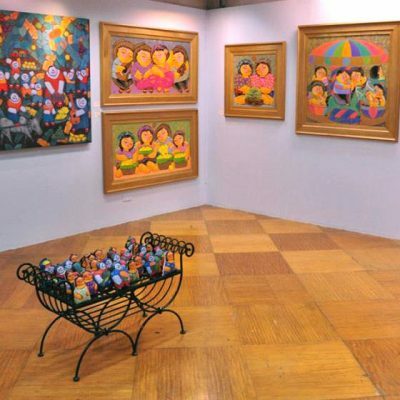 Eventually he gained an appreciation for the craft and learned from looking at the artworks brought to their shop. With no formal training, Fredito’s figures were naturally distorted. His cherished memories of Catanauan became his muse for his art. His characters in a dreamlike state. Dreaming of the past when days where simple and peaceful.